Salesforce is one of the most powerful business tools today. With the largest B2B App ecosystem in the world, more and more companies are extending the value they get from Salesforce by leveraging integrations. However, one of the challenges of maintaining a Salesforce instance is, its’ customizability means it’s always evolving. This is especially true for high-growth companies where the number of 3rd party integrations and users increases rapidly. When it comes to developing a strategic plan for your Salesforce instance, failing to plan is planning to fail. This is why every organization needs a Salesforce Action Plan. Before an organization can create a Salesforce Action Plan, there needs to be consensus on who “owns” Salesforce within the organization. When working with high-growth companies, we often hear that Salesforce administration is a shared responsibility. While this solution might feel reasonable when the team is only a dozen people, when the headcount exceeds 50, problems begin to arise. Multiple Admins from different business units means a lack of accountability and no centralized system for understanding Salesforce priorities, projects, and legacy customization. Often the Admin(s) within each department make changes beneficial to their business unit, without thinking about ongoing maintenance costs and/or the impact on other groups. 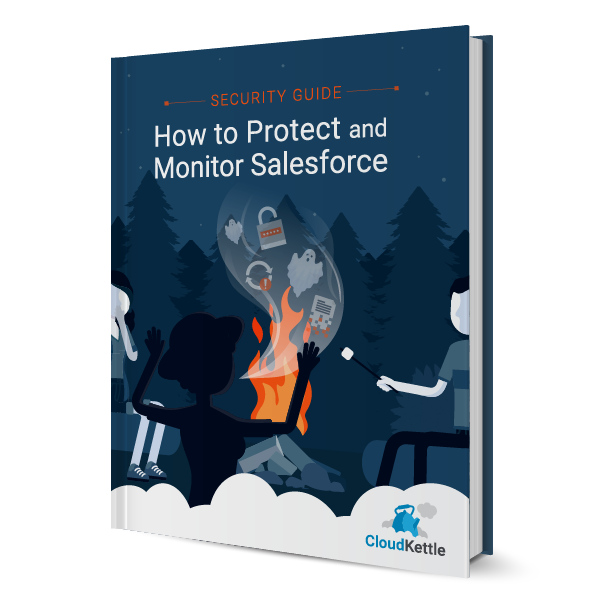 However, once an organization has more than 50 users, hiring a certified Salesforce Admin(s) to centralize cross-departmental requests should be on the roadmap. This hire(s) should be responsible for filtering and managing all departmental requests, ensuring what happens in Salesforce is for the betterment of the organization as a whole. Once you know who owns Salesforce internally, a Salesforce Action Plan is your first step in proactively managing Salesforce. Similar to a marketing plan, creating a Salesforce Action Plan helps prepare your organization for day-to-day effectiveness. Creating a plan can be time-consuming but is critical to understanding departmental needs and planning for future success. Similar to how experienced development teams have release schedules, internally there should be a Salesforce release schedule. Scheduling monthly releases will save time and set the expectation that all major updates will happen on a monthly cadence. This will also allow all incoming requests to be prioritized and visible across the organization. This way, everyone understands what will be completed as part of a monthly release versus what will be prioritized in a Salesforce backlog. Creating a monthly release schedule will also help facilitate regular departmental meetings which act as a pulse-check on the urgency of previous requests. Sometimes priorities will stay the same, but often, they will change. Depending on your organization, hold cross-departmental Salesforce meetings bimonthly or once a quarter. If a scheduled release process does not exist at your organization, the first step is to make a list of what Salesforce projects currently exist. Then at the first cross-departmental Salesforce meeting, file each project under either a monthly release (looking three to four months out) or add it to the Salesforce backlog. In this meeting, also understand and document what kind of data each department needs to access, the purpose for accessing that data, as well as what information is missing that would be helpful. This is a necessary step to understanding how each group interacts with the CRM. Information from this meeting can also identify current processes where automation could be leveraged or other efficiencies that can be considered. Salesforce Strategy – how are we leveraging Salesforce? Pro Tip: The Monthly Release Schedule should be timed with the three annual Salesforce releases in mind (Spring, Summer, and Winter). At each meeting, review the previous month’s deliverables, review the current month’s deliverables and make adjustments accordingly. Also, investigate what the future priorities look like for each department. Are there any requirements associated with adding new team members? 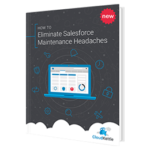 Are there any projects on the horizon that will require new Salesforce functionality? Planning three to four months out minimizes emergency projects, aligns expectations, and allows for projects to be reprioritized with time to spare. Ideally, companies strive to develop a Salesforce Centre of Excellence with appropriate governance, delivery, and release processes. Creating a Salesforce Action plan is the first step towards this goal. 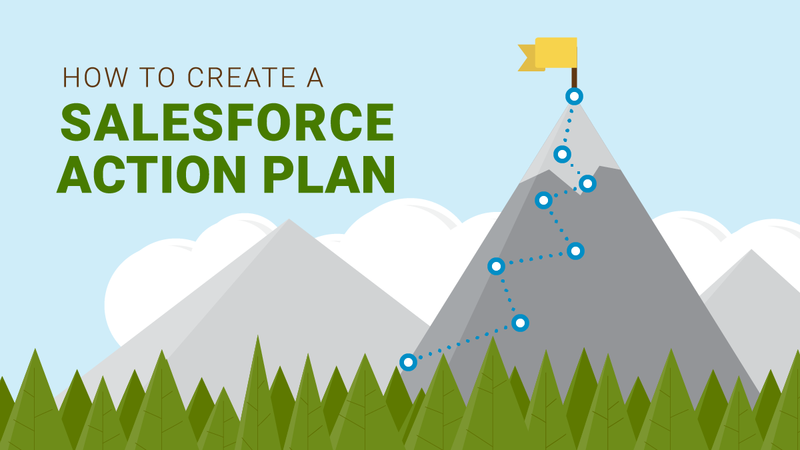 Have questions about how to create your own Salesforce Action Plan? Reach out today. We love helping high-growth B2B SaaS companies with Salesforce strategic planning. 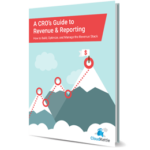 If you enjoyed this post, you may also like our blog post on How Salesforce Powers the Revenue Stack and Renewals.